A third of those working in Danish old people’s homes admit that residents are left sitting in wet nappies "several times a week", according to a survey which has generated an angry reaction from the Danish opposition. According to the survey of 1,400 nursing home employees, published in Denmark’s Politiken newspaper on Sunday, 30 percent said that residents in their homes were left for too long in the same nappy “because there was no time to change it”, double the number who gave the same answer in a similar survey in 2013. “It is grotesque and unacceptable that we have reached this point,” said Liselott Blixt, health spokesperson for the populist Danish People’s Party. “It must be possible to treat the elderly with greater dignity and respect,” said May-Britt Kattrup, health spokesperson for the Liberal Alliance party. The survey, carried out by the Denmark’s FOA union, found that only 53 percent of respondents felt they were able “to provide dignified care”, down from nearly two-thirds in 2013. As many as 16 percent said that their ability to provide dignified care was “bad”. As well as being forced to leave residents sitting in wet nappies, the survey found that nearly a third of nursing home staff several times a week forced those in their care to wear nappies even though they wanted to use a toilet. 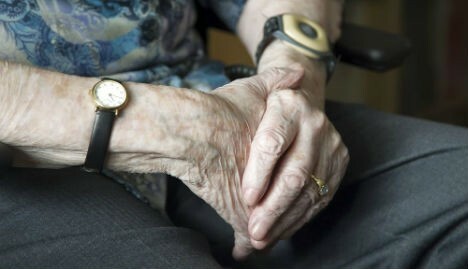 “Karen Stæhr, who leads FOA’s health and social care division, said that the figures were alarming. “It is out of order to ask a person to use a nappy, if they want to go to the toilet with help,” she told Politiken.